Fall mums are some of the most spectacular plants for our gardens. 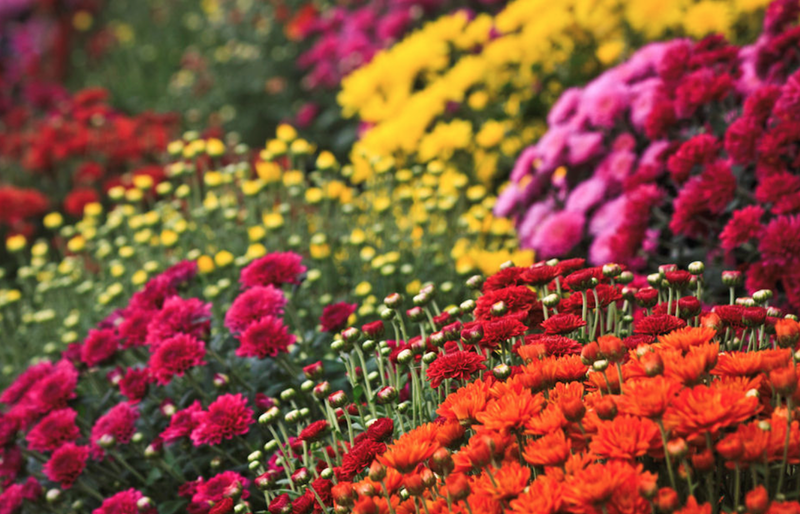 No other fall-flowering plant can match the colour of mums and they always arrive just when our gardens are looking a little brown and need a little brightening-up. When it comes to fall mums there are roughly three categories based on flowering period: early, mid-season and late. Early varieties start blooming in August and into mid-September. Mid-season varieties bloom from late September and well into October, while the late varieties are for late October and November. By now, anyone who purchased the early varieties (August-September bloomers) can see that they are well past their prime and have more dead blossoms than they do vibrant flowers. But, the mid-season types are just beginning to bloom. Mid-season types are, usually, bigger and more floriferous than their early season cousins and with cooler October temperatures, will last much longer than the early maturing varieties. While garden mums won’t be killed by hard frosts, the blossoms can be damaged. What I like to do is leave the mums in their plastic pots and then just drop them into a slightly-larger, decorative pot so that they can be pulled out and placed in the garage should the night temperatures get really cold. Beyond giving them shelter when needed, mid-season mums just require some watering to keep them looking spectacular often until Halloween, and sometimes beyond. If you are wondering about the late season mums keep in mind that, by November, we often get some pretty cold temperatures. Having said that, I have seen years where late season mums looked incredible well into the third week of November. For me, the reward of seeing spectacular mums blooming in November outweighs the risk of damage from deep cold or heavy snowfalls! Who knows, could this be the year of blooming garden mums in early December? I doubt it, but stranger things have happened! Risk versus reward – everyone has their own formula. Older PostSecond Pruning Workshop Added!